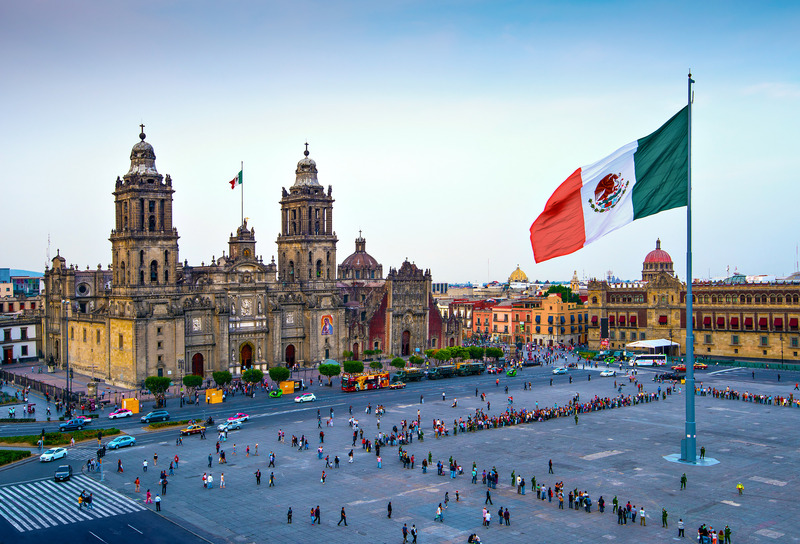 The land of exotic dances and amazing tacos, Mexico is much more than just their food or their culture. If you are planning on visiting Mexico, make sure to explore the most unexplored places that not many have been to. Be the amazing and mesmerizing beaches or even the bright colonial towers, this place is a sight for the sore eyes. Rent one of the most beautiful beachfront homes in Mexico and have the time of your life. That being said, the majority of the tourists who visit Mexico throughout the year tend to visit the places that are commonly visited by everyone which is great but not ideal. It has some ideal places from Mexico City and Cancun, try and stick to these places that are listed below to get the best Mexican experience. Here’s a quick rundown of the top underrated tourist destinations in Mexico that not many people are aware of. If you are someone who likes to explore historic places and have a knack for archaeology, then this place is just the one to go for. The archaeological ruins of this place date back to the time of the Aztec era which is definitely not something one sees in their day to day life. Located just 2 hours away from the Mexico City, this town is definitely a place that every nature lover needs to at least visit once. It is surrounded by dense forests and steep mountains on all sides which ensure to provide you with a sense of peace and satisfaction. If you are someone who loves adventure and thrill and everything related to paranormal activities, this quiet and quaint village is the answer to all your questions. This place used to be one of the wealthiest mining hubs back in the history but is now nothing more than a ghost town. One of the must visit in this place is the steep and beautiful whitewashed church that stands on its ground. It is also surrounded by a vast desert, so the temperature during the day might be a little bothersome. If you are someone who finds thrill in surfing, you just can’t miss out from visiting Puerto Escondido. It is located in the southern state of Oaxaca. This is not a very old place but has recently established its prominence in the recent years. It is known for its beautiful waves that provide with an amazing experience to the surfers. It is also known to having an upbeat hip culture in the town which is definitely an added bonus. If you are someone who wants to experience the raw and rich beauty of the Mexican culture in one of its truest forms, this small and indigenous village is the perfect tourist spot for you. This village is known for its resourceful market, robust coffee and magical festivals. That being said, one of the most talked about attraction is the voladores who perform in the middle of the central plaza. This is one of the traditions of the place in which the dancers spin encircling a tall pole while they are levitating with their ankles secure with a rope. Mexico and Mariachi bands are nothing short of synonymous. If you didn’t know before, this is considered as the birthplace of the mariachi bands. It is also known for its colonial architecture. It is one of the least visited places even though it is considered one of the most diverse places in the country. It is often said that the capital of the country is what overshadows the place despite its elegant stature and overwhelming historical evidence. Even the culinary scene around the place is the one to die for. If you are someone who is on the lookout of visiting a rather cold place in Mexico, Mazamitla is just the right pick for you. It is often known as the “Switzerland of Mexico” and is defined by its beautiful pine trees and scenic beauty all around. If you are seeking a quiet and serene place to spend your vacation in, this is the right spot for that. It is a secluded place away from the hustle and bustle of the city which makes it a great getaway. It is one of the five islands Lake Pátzcuaro and makes up as one of the tiny villages on the tourist radar for Mexico. The area is surrounded by beautiful lakes and the fishermen account for yet another attraction of this place. The butterfly-shaped fishing nets are one of the things completely authentic to this place. It is considered as one of the best places if you want to have a chilled and laidback life for a few days surrounded in a small island with the locals and the obviously delectable food. Last but not the least; Sayulita is yet another beautiful surf destination that is loved by the people of Mexico and the tourists as well. It is known for its trusty bohemian vibes and friendly vibes. Try out the local cuisine in the place and you are sure to never leave this place. Try out a place out of these if you want to experience Mexican culture in its rawest forms. It’s time to appreciate the underrated places and opt for the ones that not many actually visit in the first place.